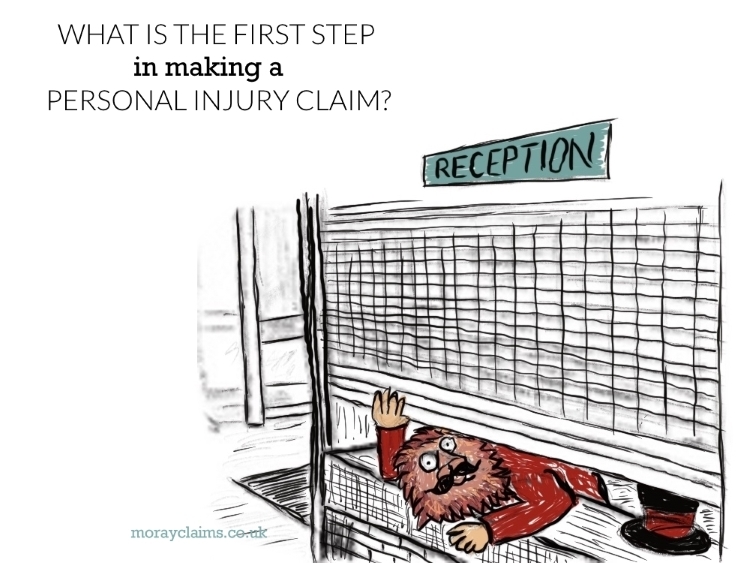 You are here: Home / Important Personal Injury Claim Concepts / What is the first step in making a personal injury claim? If you are injured or unwell and go to your local Accident and Emergency Department, you hope it is the first step on the road to recovery. Mr Darnley went to the A&E department of the Mayday Hospital in Croydon where he was told by the receptionist, in an offhand way, that it would be up to four or five hours before he was seen. After 19 minutes in the waiting area, Mr Darnley, who had head pain, decided to go home. Unfortunately, his condition deteriorated and he was taken back to the same hospital for a scan which revealed that he had bleeding on his brain. He was transferred to another hospital for neurosurgery but it was too late to prevent permanent injury – paralysis down one side of his body. In fact, the original receptionist had given Mr Darnley misleading information. Had he waited in A&E, he would probably have been seen within 30 minutes of his arrival – i.e. shortly after he left. Had he waited, his condition would probably have been diagnosed early enough the prevent the drastic consequences he suffered. Mr Darnley’s claim for compensation against the Health Authority was decided by the Supreme Court in 2018. The court held that it was not appropriate to distinguish between medically qualified professionals and administrative staff in determining whether there was a duty of care in the circumstances. It was not unreasonable to require that receptionists take reasonable care to avoid providing misleading information, so the duty of care had been breached and Mr Darnley’s claim was successful. Mr Darnley’s visit to the hospital got off on entirely the wrong footing. We all know how important it is to make a good start if there is a process to be followed because it usually maximises the chances that everything else in the procedure will go smoothly as well. The importance of getting the first step right is as important in making a personal injury claim for compensation as it is if you are seeking medical attention for an illness or injury. 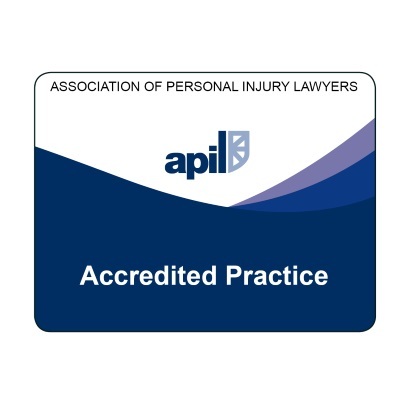 A compulsory pre-action protocol applies in Scotland and that is the procedure or process which covers most personal injury claims where the injured person is represented by a solicitor. In this article, we will look at the usual contents of an intimation of claim letter. This is sometimes also referred to as the letter of claim. It is the means by which your solicitor first notifies the opponent that you have a potential claim for compensation for personal injury. It is the first step in the process. We will consider three issues. Firstly, what are the main subject matter areas which have to go into an intimation of claim letter? Secondly, why is this information given at the outset of the claim? And, thirdly and finally, what is the usual next step in the process after intimation of the claim? 1. What are the main parts of an intimation of claim letter? The letter is addressed to the opponent or, if known, sometimes to their insurers. the date and place of the accident. The letter then goes into a description of the circumstances of your accident. If this was, say, a road traffic accident, it may be possible to state the circumstances quite briefly. On the other hand, if it was an accident at work and it involved some sort of industrial process or complex machinery, this part of the letter could run to several paragraphs. Next, it’s a normal requirement for you to have to state the legal grounds for your claim. Moving on, we come to a description of the injuries you suffered. It is not necessary to go into great detail here. It would be normal to confirm details of any hospitals you have attended and the name and address of your GP. If you have continuing symptoms which could benefit from some form of rehabilitation, such as physiotherapy, this should be stated. In road traffic accident cases, if you were a vehicle driver, it is normal to provide your own motor insurers’ details and also specify whether it is your intention to apply to the police for an abbreviated accident report. The letter will also refer to standard protocol timescales. The opponent or their insurers should acknowledge receipt of the intimation of claim within three weeks. They should complete their investigations into liability (i.e. whether they accept that they have legal responsibility to pay compensation to you) within a period of three months. It can be helpful to set out in the letter your understanding of what these two deadline dates are. So, that’s been a look at the most common elements of an intimation of claim letter and now we consider what the point of them is, at this initial stage of a claim. 2. Why is all this information required? Many of your personal details are needed so that your claim can be registered with the Compensation Recovery Unit (CRU). All personal injury claims have to be registered with the CRU. It is a government agency which was set up in the 1990s to recover state benefits which are paid to victims of accidents who subsequently recover compensation for their injuries. The compensating insurance company has to refund to the government the benefits which are set out in the CRU Certificate which is current at the time the claim settles. The accident circumstances are required so that the insurers can discuss that version of events with their insured. As the letter may be admissible in later court proceedings, this is probably the most important part of the letter to get right. It can be, at best, embarrassing if the allegations here have been misstated. Your solicitor may well want to double-check the terms of the letter with you – and particularly this portion – before sending the letter off. The section on legal duties is important because it is a large part of what will persuade (or not) the third party insurers that your claim is one which they should agree to settle. The legal basis of a claim is often straightforward in the case of road traffic accidents. It may well be less obvious in the case of an accident at work – indeed, in some circumstances, your solicitor may have to give quite a bit of thought to the formulation of the nature and extent of the legal obligations which were on the opponent at the time of the accident and the source of those duties. The insurers need to have an idea of the nature and extent of your injuries so they can place a reserve (estimate of value) on the claim. At this stage – especially if you are still recovering from your injuries – it can be difficult to give definitive information. However, even knowing whether your injuries are purely soft tissue or whether they include fractures will be of assistance. Likewise, knowing that you got medical treatment and whether that involved a hospital attendance or simply treatment from your GP will also be useful indicators to the insurer. Having discussed all these reasons why particular information has to go into the intimation of claim letter, we’ll finish off with a look at what comes next in the life of your claim. 3. What is the next stage in the process? Normally, you can expect the insurers to give you a decision on whether or not you have a valid claim (not the value of it – just whether they accept, in principle, that they have to pay compensation to you) within three months of the intimation of claim. At that point, depending upon your state of recovery from your injuries, your solicitor will be considering with you whether to obtain more formal medical evidence. This would usually take the form of a medico-legal report from a consultant who specialises in the field of medicine most relevant to your injuries. 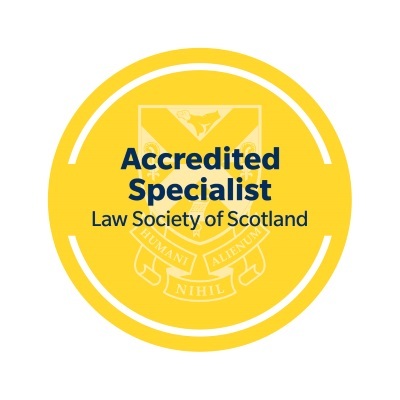 Your solicitor will need that evidence in order to be able to value your claim – whether the next step is continued negotiations with the insurers against the background of them admitting liability for your accident or whether it is you raising a court action because they will not settle your claim voluntarily at that stage. In many ways, intimation of claim is a standardised process. Particular information must be given and everything for a reason. The standardisation is intended to make the process as efficient and streamlined as possible. It is in your interests to give the insurers the essential basic information as quickly as possible, so that they can get on with meaningful investigations into the merits of your claim. As in the case of the hospital receptionist at Mayday Hospital, it is important that the information given in the intimation of claim should be as accurate as possible. If it needs to be altered later, it may have a negative effect on your chances of claiming successfully. 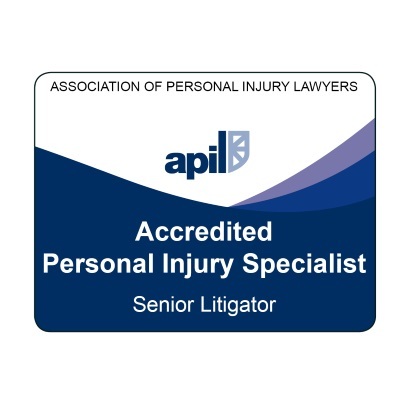 We hope you have found this article about the first step in making a personal injury claim to be useful. If you have any questions at all, please do not hesitate to get in touch with us. We are keen that the information on this website should be as clear and comprehensive as possible. Your questions help us to expand and improve the information on this website, for everyone’s benefit. You can contact us by phoning 01343 544077 or send us a Free Online Enquiry. If you want to enquire about our personal injury claim services, don’t forget that you can get a free case assessment from us by making contact in the ways described above. Should you think a Free Case Assessment is something which would be helpful to you – and that we would be local, specialist solicitors from your point of view – please make a Free Online Enquiry via this website. Let us get started on the process of investigation and analysis of your claim. Remember, you can call us on 01343 544077 or send us a Free Online Enquiry.